For more information, please contact Stephanie Willis at sw1122@bellsouth.net . If you know of anyone that would like to volunteer with us please pass this information on to them!!! 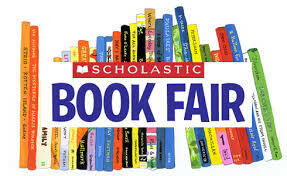 Volunteer your time at Scholastic Book fairs Warehouse Sale Event and you can earn $10 per hour (in the form of a gift certificate to purchase books at the discounted price)! Gift certificates are redeemable towards the purchase of books and other warehouse products at the discounted price during this sale event only. (Example: Work 8 hours, get $80.00 worth of books at the discounted price). We have been offered to opportunity to work this week at Scholastic. We will be re-shelving books! We could really use your help!!!! Thank YOU! Let me know the dates and times that you would like to work. Remember, there is a 4 hour minimum, but you can work as long as you like. We look forward to hearing from you soon. If lost, vouchers will not be reissued. They must be used during the current sale.